Mondays are always a very long day at Uni as I start at 9 and don't finish till 5. I study the same course as one of my housemates and on Monday evenings, we both take the evening off studying. This week we decided to bake and with Hallowen only a week away, we thought we'd bake something Halloween-inspired. 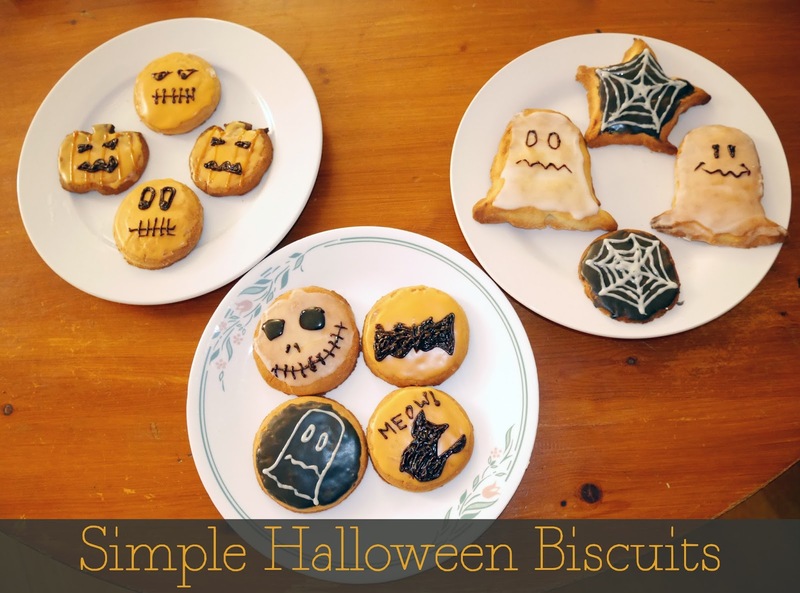 We decided to make some biscuits and decorate them with Halloween designs. We used this BBC recipe, but 1.5 times the ingredients, so that we'd have enough for 12 biscuits. 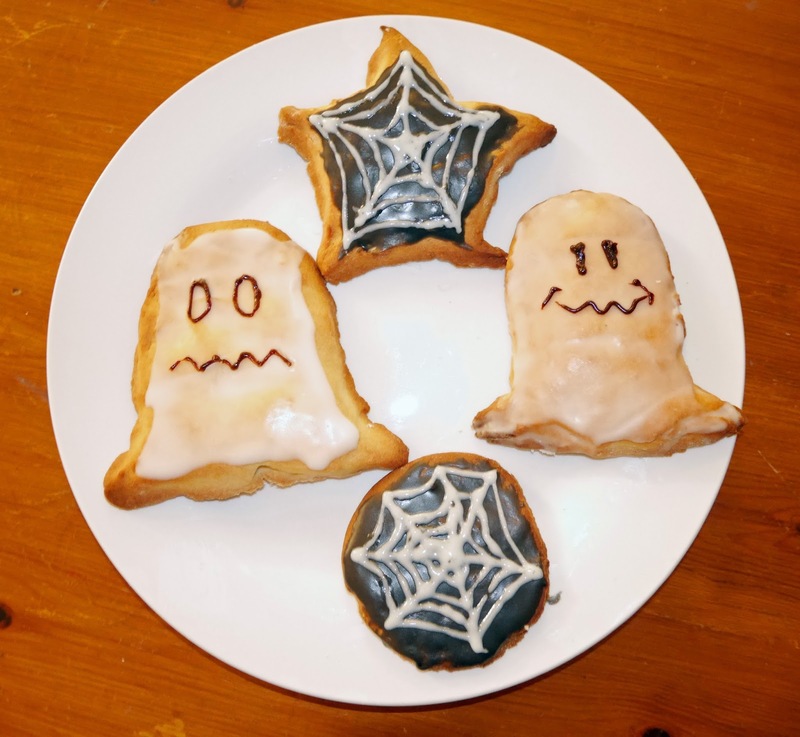 We made the biscuits a variety of different shapes: ghosts, pumpkins, circles and a cobweb. 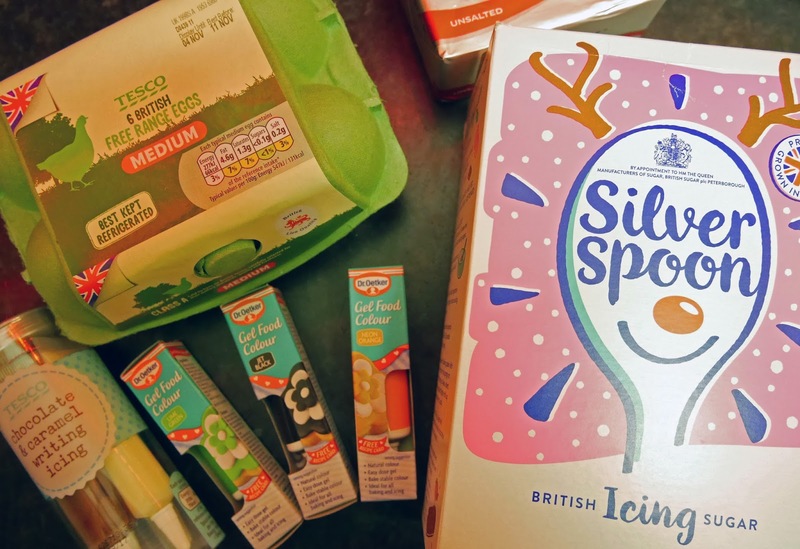 Once the 12 biscuits were in the oven, we made the icing. We just continuously mixed water and icing sugar together until the icing was smooth and relatively thick. We made three bowls of icing: white, orange and black, adding the food colouring to the latter two. Once the biscuits were baked, we left them to cool for a bit before starting the decorating. We lightly covered the biscuits in the icing when they were cool enough, being careful not to spill over the edge too much. When the icing was dry, we used the writing icing to add Halloween designs: Jack Skellington, cobwebs, ghost and pumpkin faces to name a few. We just let our creativity run wild haha! After the decorating, we were done and it took about 2 hrs 45 mins in total to make the biscuits (including washing up). The actual biscuits were very simple to make, but the decorating you could make as advanced as you like! It was great fun and I'm really grateful that I have a housemate who's happy to bake with me! Let me know if you decide to bake something similar. Oh they look absolutely adorable! So cute. Sometimes the easiest things are the best, aren't they? Thrilled that you like them! :) Absolutely. Easy baking is the best kind!